Disclosure : This post was sponsored by Heluva Good! Cheese as part of an Influence Central campaign and all opinions expressed in my post are my own. 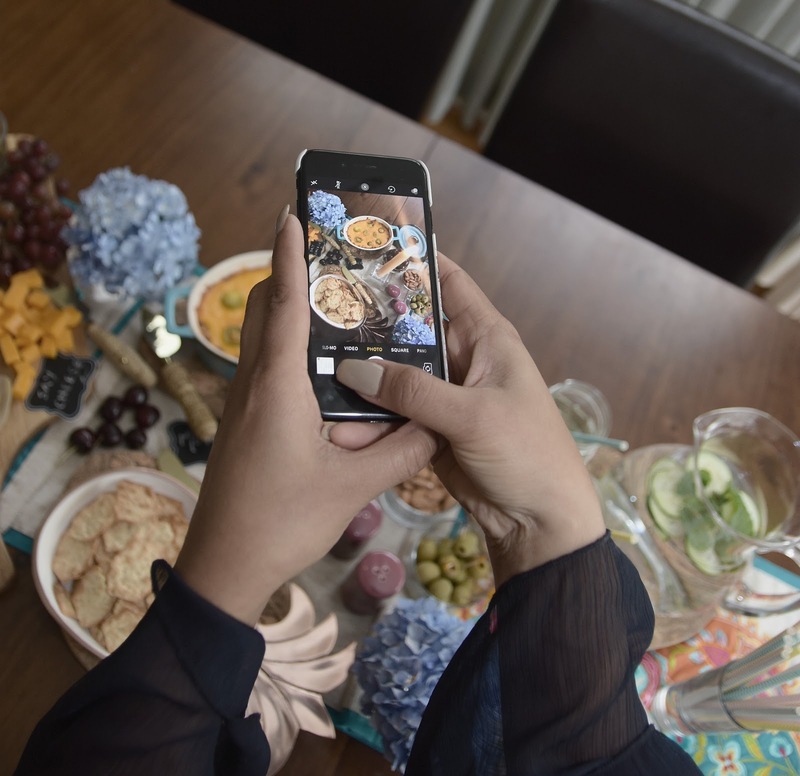 As much as I would love to entertain, our busy work schedules doesn't permit elaborate culinary indulgence or dinner soirees. 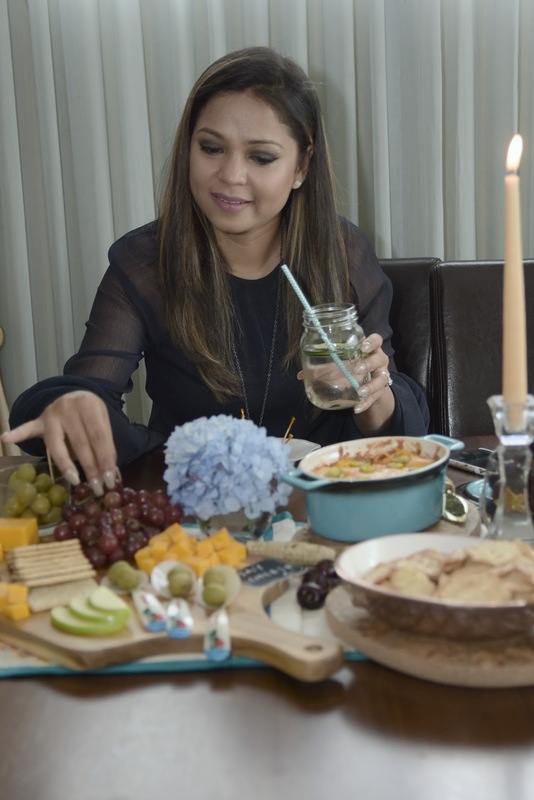 But one thing that is always up my alley is a social rendezvous over wine and cheese. 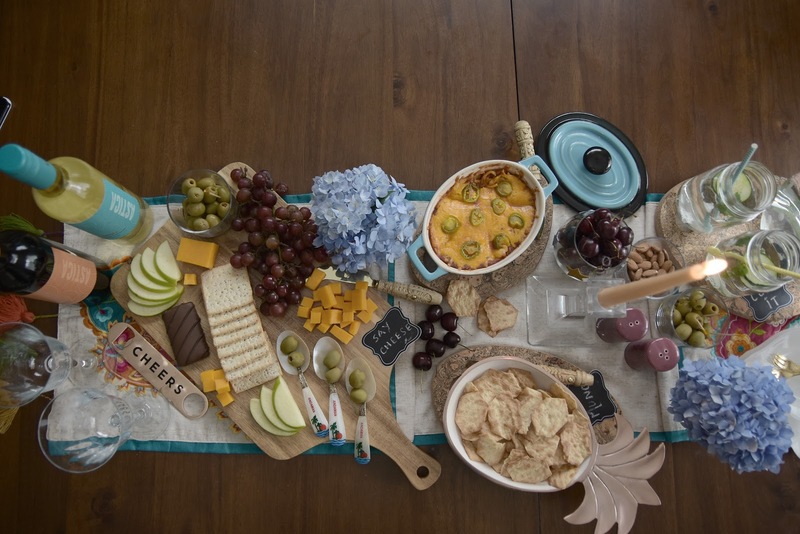 Hosting a wine and cheese party need not be nerve-racking. 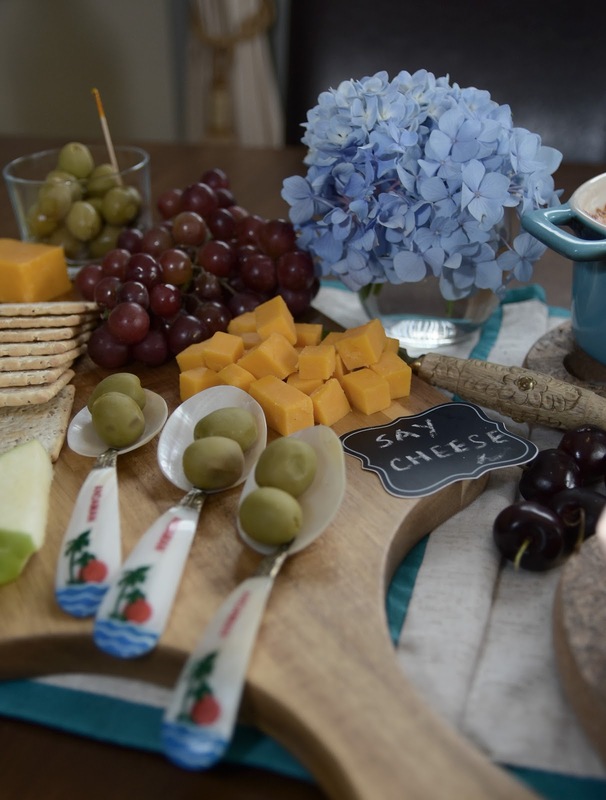 You don't need any major culinary skills or tools to host one yourself : just a few key ingredients, some presentation props and lots of cheese love is all you need. 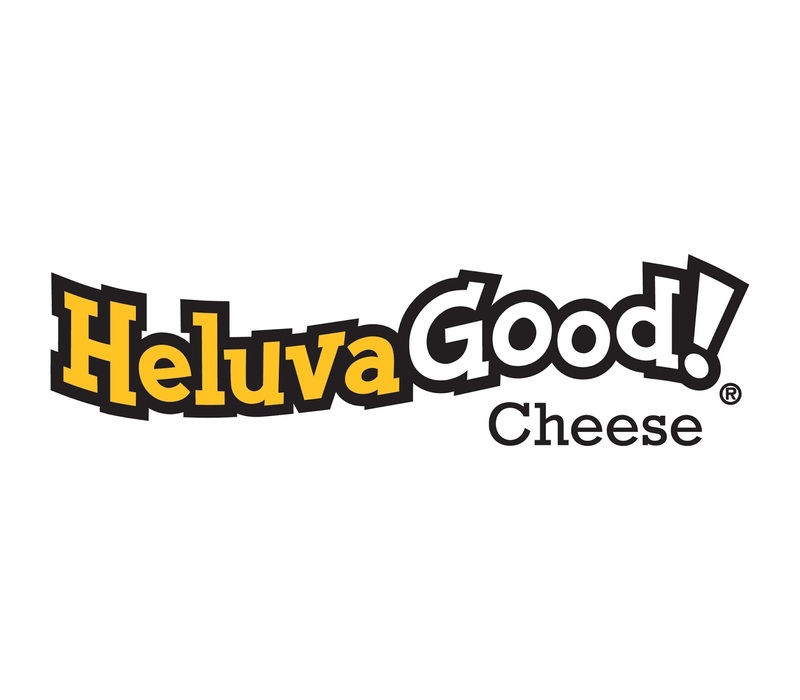 I have teamed up with “Heluva Good! 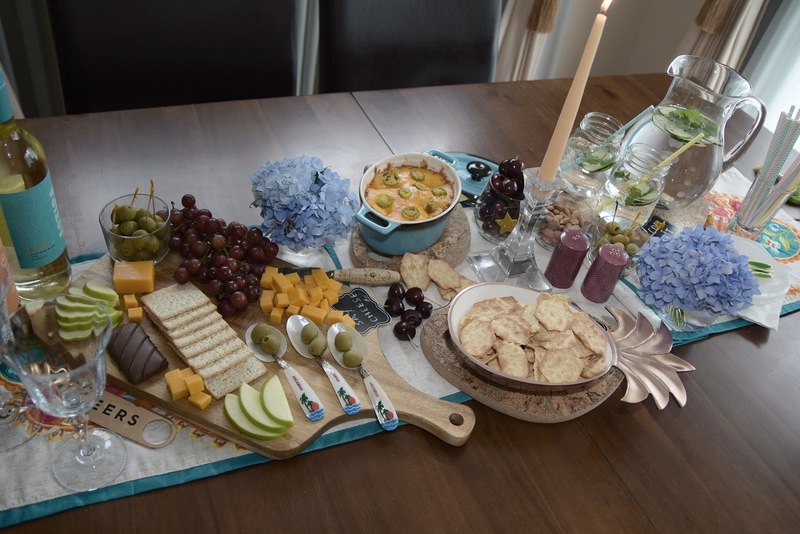 Block Cheese” to bring to your table an easy cheese platter and table setting, that is sure to win your guest's hearts. 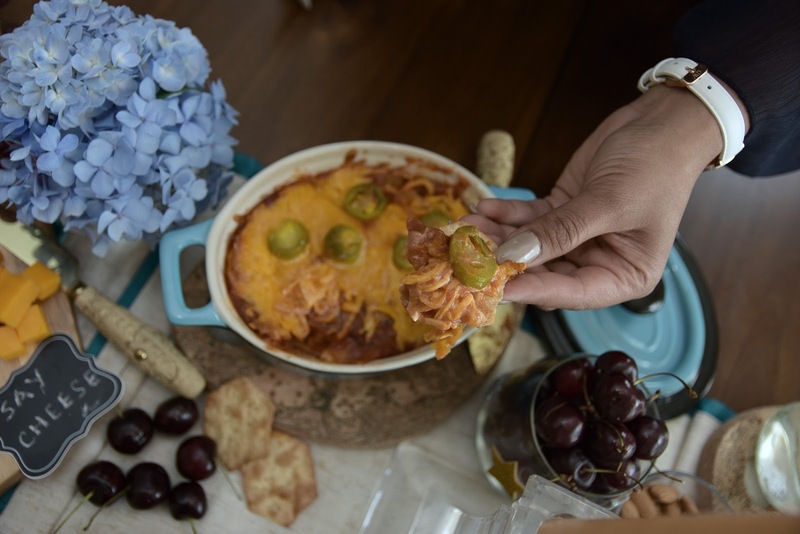 Also, I am whipping up a quick baked cheesy dip, that is not only finger-licking good, the robust cheesy flavor will give a major case of binge-eating to your guests. 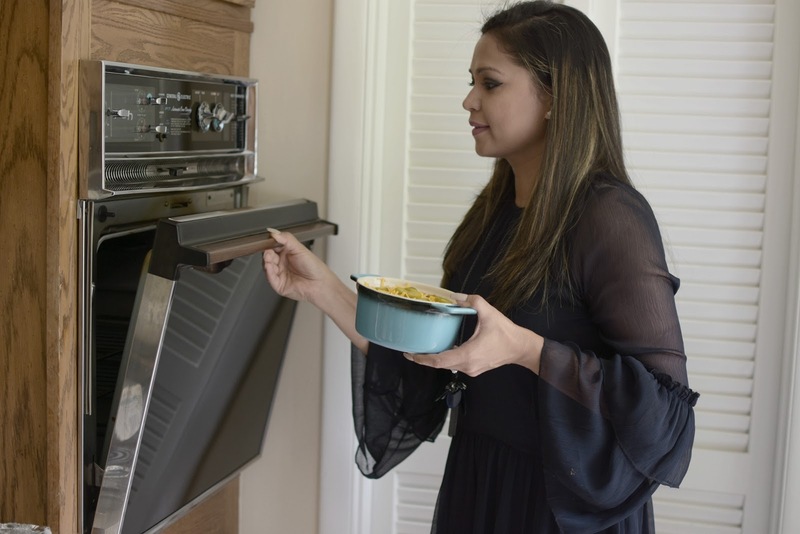 Grease the bottom of your baking dish with some cooking spray. 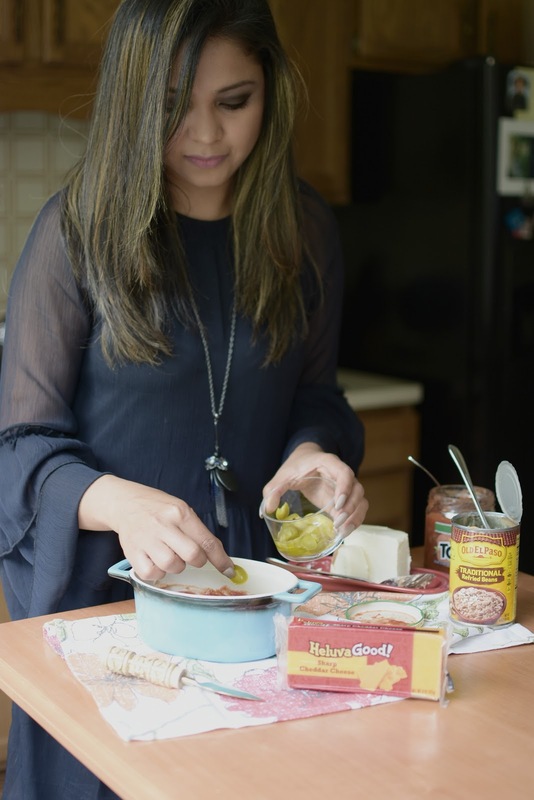 Open the jar of refried beans, smooth out a layer of beans. Next comes the cream cheese. Make sure the cream cheese is soft, otherwise you will have a hard time spreading it over the beans. Another way to do this is to mix the beans and cream cheese together and then spread out a layer. Now pour some salsa over the beans and cream cheese layer. 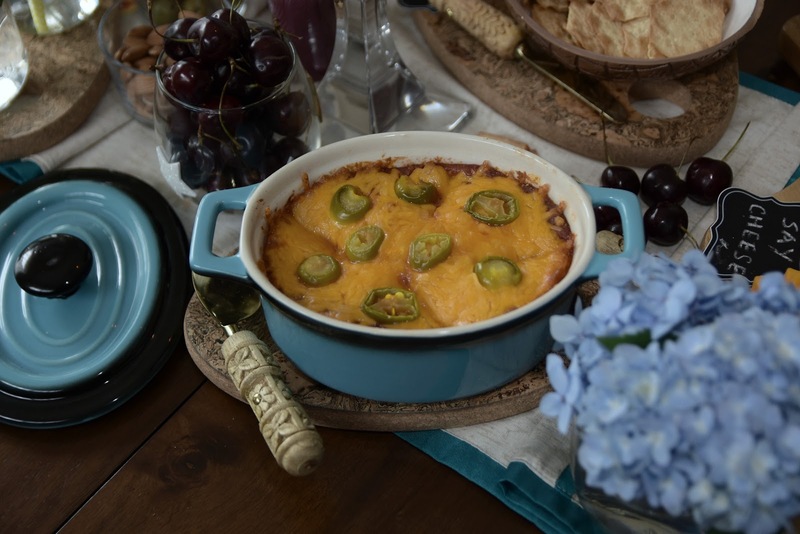 If you love a little kick in your snack, then pickled jalapeños are the way to go. Use generously for a punch of heat or sparingly for a more kid-friendly version. 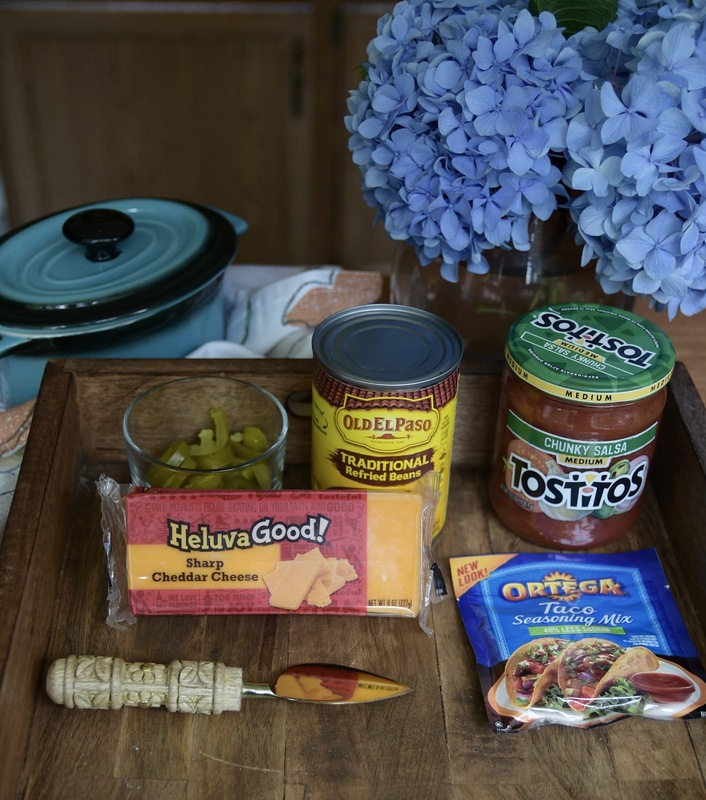 What makes this dip so yummy is the choice of seasoning. Personally, I like the taco seasoning, but you could use fajita or any other seasoning of your choosing. Finally it is time for the show-stopper: HELUVA cheese. I used sharp cheddar cheese, but the extra sharp would taste equally good. Top it off with some more jalapeño. Bake at 350 degrees for 20-25 minutes or until the cheese melts. 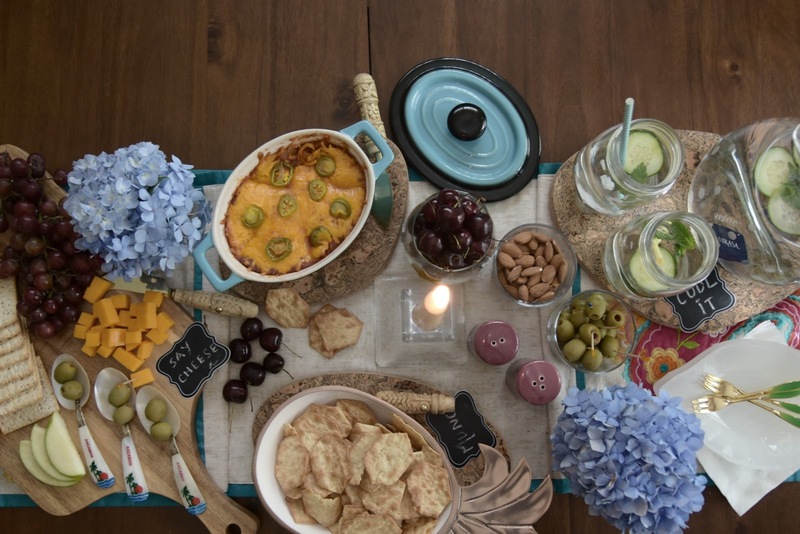 This dip really goes well with the nacho corn chips, but you could also serve crackers as an accompaniment. Wine pairing: have both white and red options. 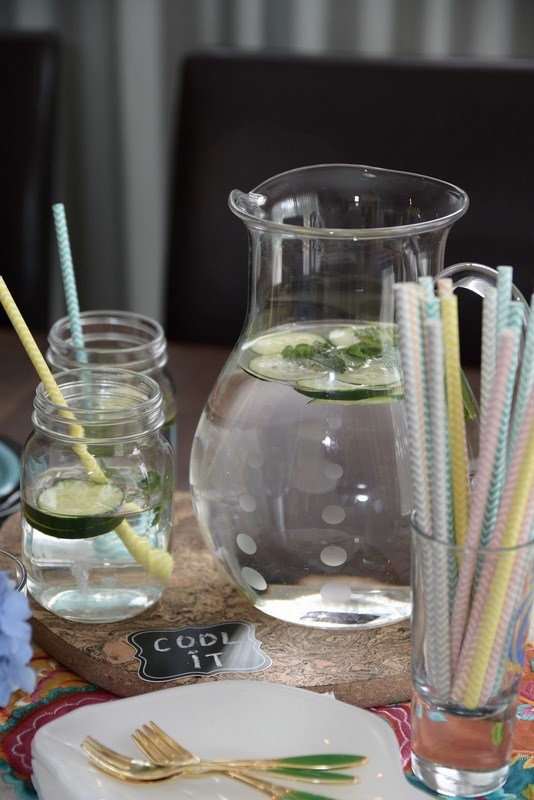 Drink- mint or cucumber infused water is always refreshing.